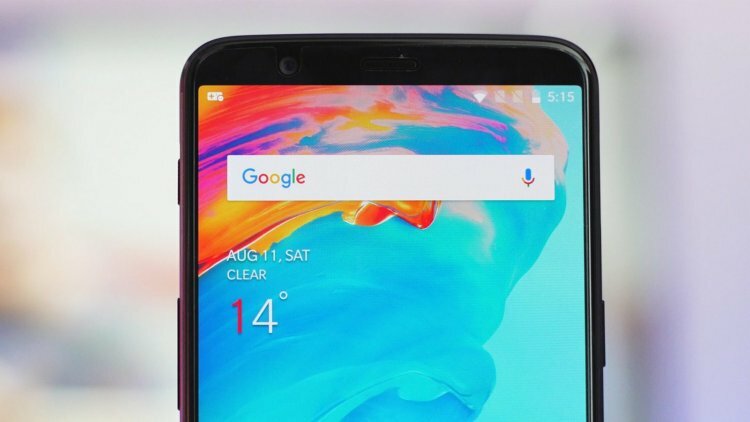 OnePlus has begun to distribute the public beta of Android 9 Pie for OnePlus 5 and OnePlus 5T smartphones. The users of the devices noticed the release of the pre-assembly update, which reported this on the pages of the official OnePlus technical support forum. According to the manufacturer, the update will initially be available only in China, but may later come out for users from other regions. The news of the release of the public beta of Android 9 Pie for OnePlus 5 and 5T means that OnePlus ’s initial plans to postpone the release have most likely been revised. In any case, earlier CEO of the company Pete Lau told AndroidAuthority that the update for last year’s two models could be postponed indefinitely. As a reason, the top manager cited some problems that had arisen at the stage of software optimization. As shown, the beta test rarely lasts longer than two months. This may mean that the release of Android 9 Pie for OnePlus 5 and 5T will take place before the beginning of next year. If OnePlus manages to release an update in December, the company will surpass most of the first-tier manufacturers in terms of the speed of release of updates. Take at least Samsung, which will introduce Android 9 Pie for flagship models only in January, not to mention more affordable devices. Android 9 Pie brings to the work of compatible devices an improved menu of multitasking, a number of adaptive functions that contribute to the more efficient use of the battery, as well as native support for control gestures. The latest innovation is particularly relevant in the era of the proliferation of elongated smartphones, whose design does not physically allow your finger to reach the top of the screen.